As from 1st January 2017, North Equipment Ltd were appointed as the UK and Republic of Ireland sales and service agent for the Comacchio range of CH rigs. 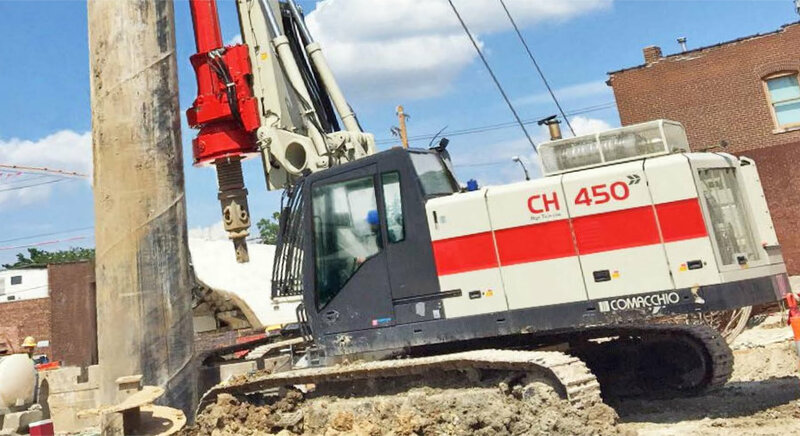 The first Comacchio machine that North Equipment is bringing over is the CH 450 and it will be available for hire and demonstration from the first week of April 2017. The rig has been specified to perform in CFA with the capability of rotary drilling. A copy of the brochure is available for download on our website. In addition to CH 450, we can offer a CH 650 in either rotary or CFA. A copy of the brochures are available from the download page on our website. The company is also very interested in collaborating with customers in developing innovative solutions and machines that are customized for UK clientele.